The most unique quality of The Royal Atlantis are the apertures, cantilevers, and bridges as part of the 41-story hotel and residential towers. As part of these components, SKS Studio has meticulously designed outdoor guest areas for the hotel suites, residential units, and penthouses. 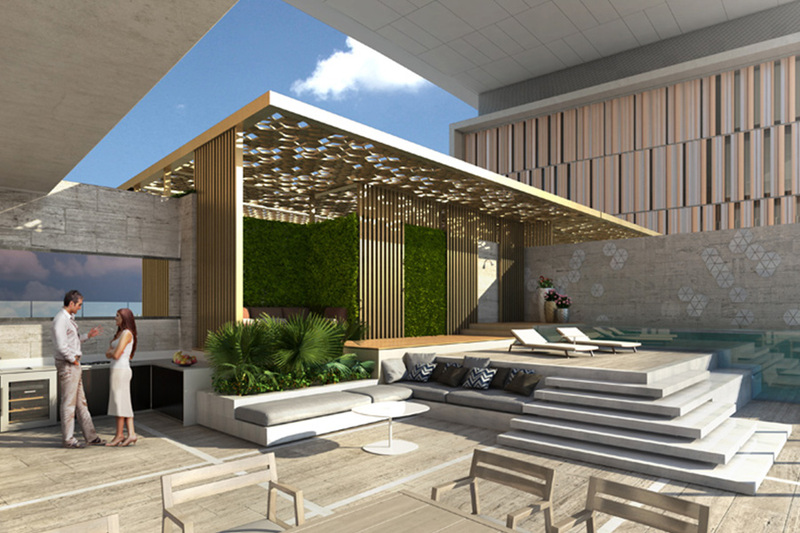 Each sky court is a unique contemporary garden courtyard complete with elevated seating areas, acrylic edged pools, and modern shade structures. These sky courts connect the interior spaces of the hotel and residences to the outdoors. 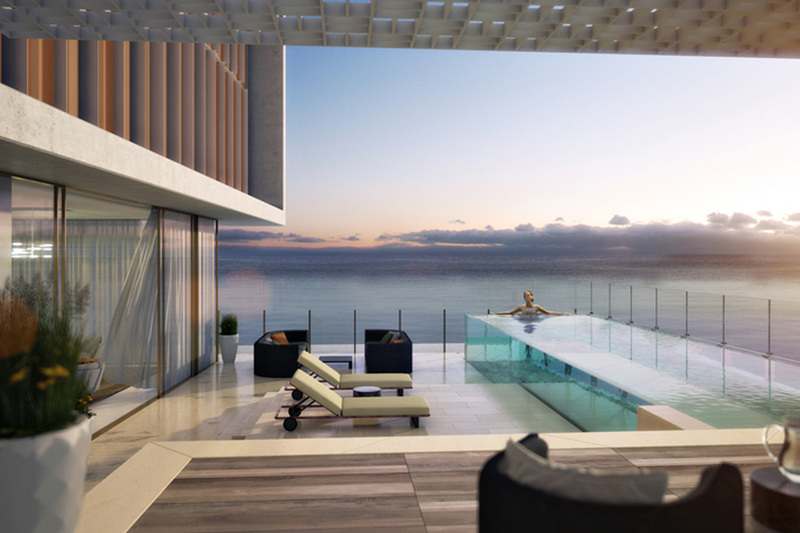 Guests and residents can take in breathtaking views of the Persian Gulf while cooling off in their own private swimming pool…41 stories high!